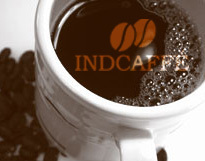 Indcaffé entered as a service provider with a professional touch for both the shippers and the buyers. This made life easy for both, leaving them to deploy their resources in their areas of competency. Being a service provider, the company believes in the philosophy of customer satisfaction. It has been providing a total service, right from identifying the shipper/buyer, till the total transaction is complete. Today Indcaffé has crossed a turnover of 15000 metric tons, dealing in all grades of coffee. It has been successful in introducing Indian coffee in newer markets in Europe with a much better realization. Promotion of Speciality coffee of Indian origin is another area where it is actively involved. All copyrights reserved to Indcaffé 2007.